The Arts Participation Incubator (API) began as a project of Deakin University’s Arts and Cultural Management Program. From 2015, with a bunch of industry partners, the API has formed a collaboratory (APIC) to assess and award credits or ‘digital badges’ for professional practice in the arts and cultural sector. 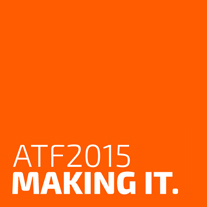 Theatre Network Victoria (TNV) partnered with API to pilot the first badging opportunity through the Australian Theatre Forum (ATF2015). A badge is a digital artefact that acknowledges your skills, knowledge, attributes and achievements as a micro-credential of professional practice. Digital badging is a way of capturing, valuing and validating the learning that is happening on the ground by arts and cultural practitioners as they develop their professional expertise. What can I do with a digital badge? Once awarded, a badge can be added to your CV and professional portfolio. They can be published in any social media space such as LinkedIn or digital portfolio space (through Credly) and demonstrates to your employers and community an acknowledgement of your skills, achievements and knowledge. What will this badge look like? 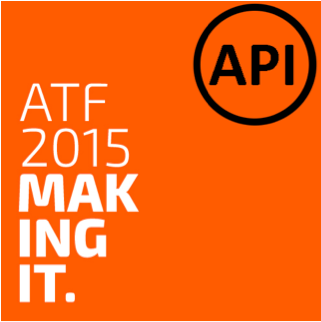 The outside of your ATF2015 API will look like this in Credly, it can be clicked into, to reveal the metadata that contains information about who issued the badge, what the badge warranted credit for and links to the digital evidence. Do I have to pay for this badge? No, this pilot program is free for participants. 2. How you built your networks and how this may impact on your practice? 3. Did you contribute to discussion and debate, if so how? You will need to provide a 250 word reflection on what you have learned, discovered and achieved. This evidence will be assessed according to the impact the ATF2015 has had on your critical thinking, professional practice and leadership. Click here for more information about Deakin University Arts and Cultural Management program.